The EuroTek Pro is a star detector that works anywhere in the world, no matter where your journey will take you! Tested both in the US and abroad with excellent results, this machine is a standout in the community of treasure hunters! 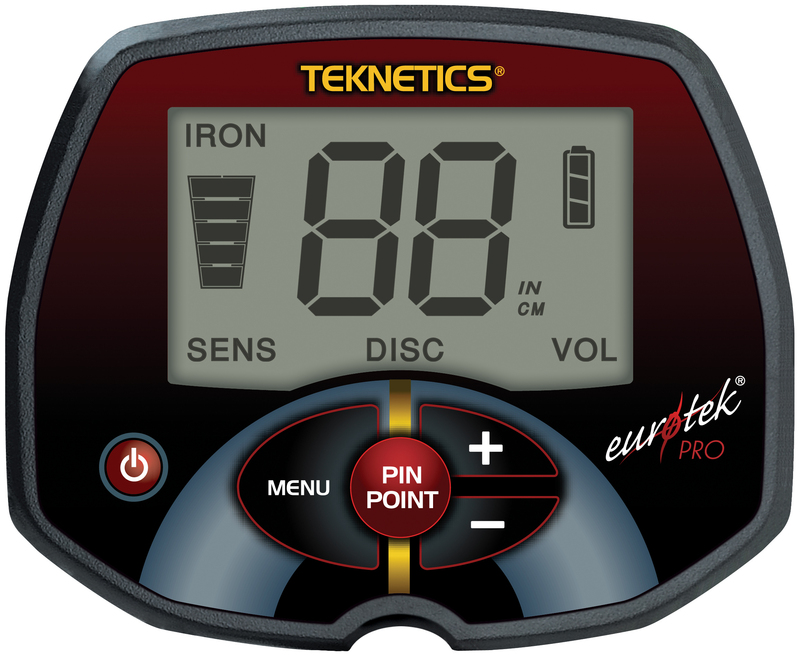 Light weight, low-cost with large easy to read target ID numbers and an added benefit of adjustable discrimination and sensitivity that makes the EuroTek Pro top in the industry. 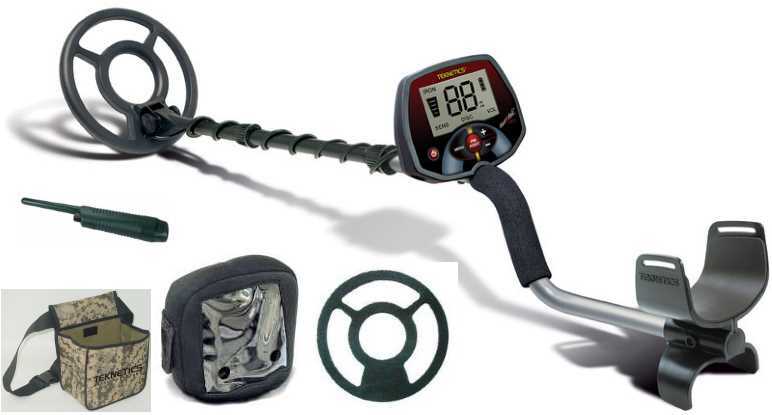 The product of years of research and development and designed for the challenge of detecting on European soil, the Teknetics EuroTek Pro has amazing Target-ID resolution not seen on any other detector in this price range! No need for adjusting! You get the advantage of using the unique ground elimination ability so you can just turn on and start your hunt! Very easy to use and so much fun, it's a detector that thrives in iron-infested environments. The EuroTek Pro comes with a removable rod for easy use on vertical surfaces or for smaller users. Take the EuroTek Pro on your adventures today! Adjustable length; 41." to 50"
5-Segment Depth Indicator is a graphic representation of the distance from the search coil, and is calibrated to a coin-sized object.